Pull out the sweaters and boots and fall forward into autumn fashion. 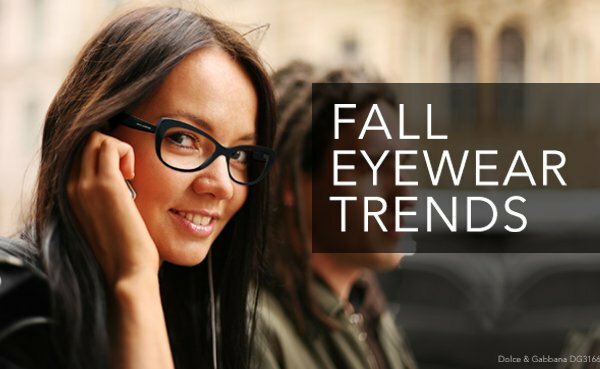 We're excited to present the eyewear trends for fall in this trend report! This season, it's okay to be a little dark and dynamic. Think angular lines, dramatic browlines and futuristic bridges. Pitch black frames, winter white hues and intricate patterns from stripes to lace are sure to add extreme edge to any cold weather ensemble with our collection Dramatic Expressions. Also, the formula for this seasonal style solution is quintessential shapes plus smooth detailing. In step with this year's color trends, basic shapes adopt tones in neutral, pastel and muted families. Hard lines are softened while soft lines are hardened, making this look friendly for most any face with a little Classic Inspiration. 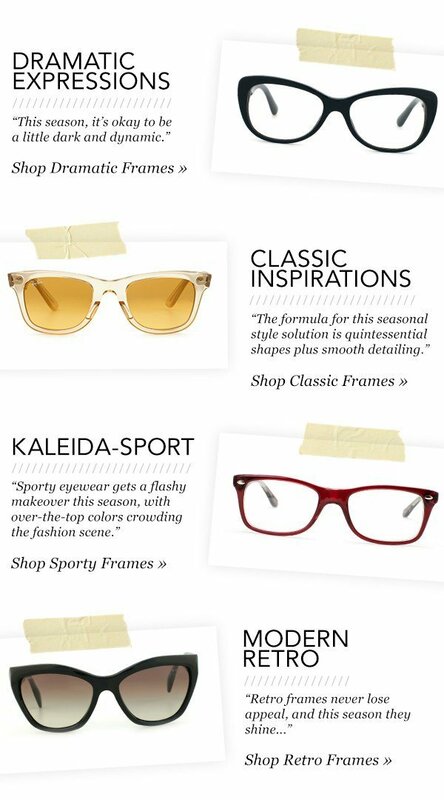 And this fall, sporty eyewear gets a flashy makeover this season, with over-the-top colors crowding the fashion scene. Mirrored lenses broaden their spectrum in hues like lime green and bright blue. Men's shades may feature more color blocking and women's glasses go bold in shades that outshine the sun with our Keleida-Sport collection. 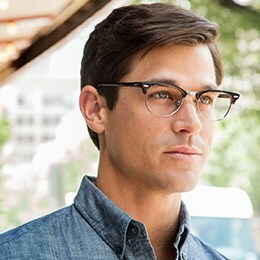 But it's the retro frames that never lose appeal, and this season they shine in fall-friendly tones like leather brown, cranberry red and outdoor-inspired neutrals. Look for high shine, metallic features and defined brows, additions that add romance and intrigue with Modern Retro.